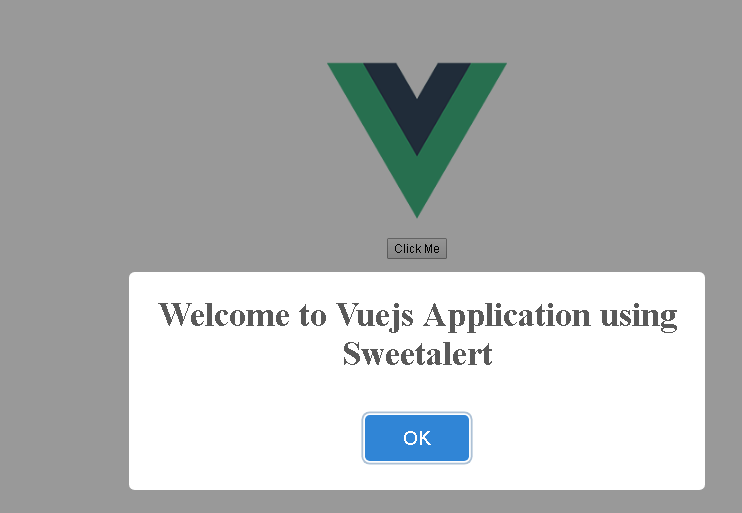 In this blog post, We are going to integrate vue-sweetalert2 in vuejs based applications. Vue framework provides vue-cli tool to create vue application from scratch using vue create command. ✨  Creating project in B:\Workspace\blog\vuesweetalertdemo. �  Successfully created project vuesweetalertdemo. This will have vuesweetalertdemo application created with predefined vue folder structure with the initial configuration. Go to the application folder, run npm run serve command to start vue js application. To integrate SweetalertJS in VueApplicaiton, Go to the application root folder, vue-sweetalert2 package can be installed using npm or yarn or bower. Import VueSweetalert2 module in vue application. To make use of third-party npm package functionality, FIrst, you need to import VueSweetalert2 module in main.js. Once imported, Application is able to access sweetalert objects and its methods. 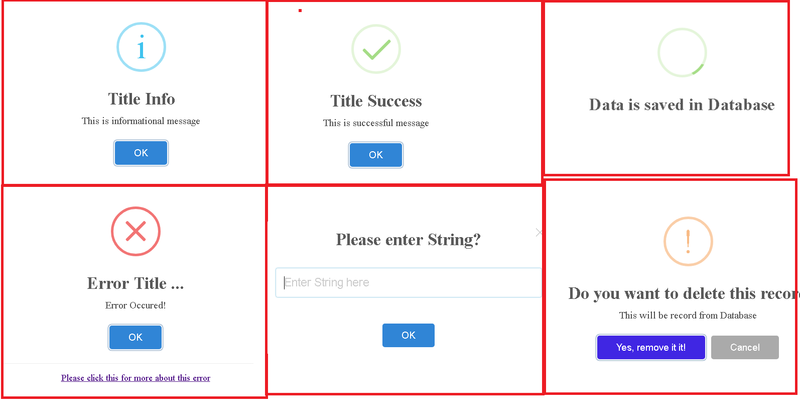 How to display a successful dialog window? How to show informational dialog window? How to display Error dialog window? confirmButtonText: "Yes, remove it it!"